From my personal experience, fashion can be pretty hard to follow if you don’t know what people are talking about. So I thought that starting the S**t Guys Should Know About Fashion segment would be a great way to unravel most of the jargon you hear or read about fashion. Paisley pattern is the tear-drop motifs and intricate details printed onto the fabric. Paisley can be a really versatile and interesting pattern to work with. Contrary to a lot of misconceptions, wearing paisley print won’t make you look geeky or old-fashioned. Like most dense patterns it can be a great tool for adding texture to a boring outfit. 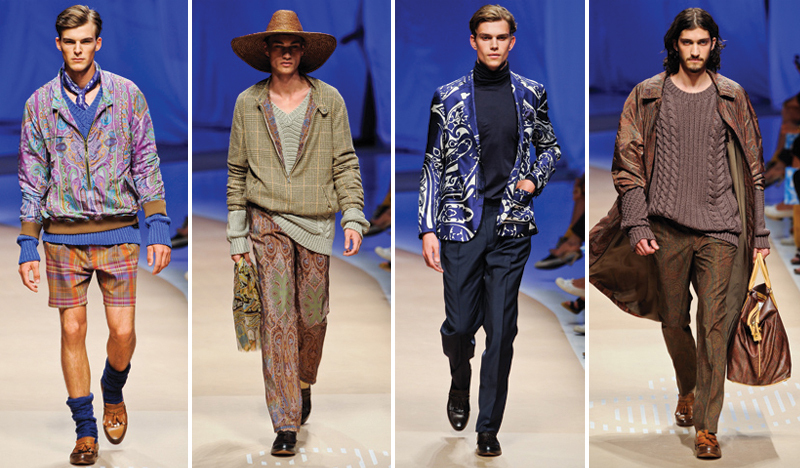 Italian designer label Etro is a great example of the many ways you can wear this traditional fabric. 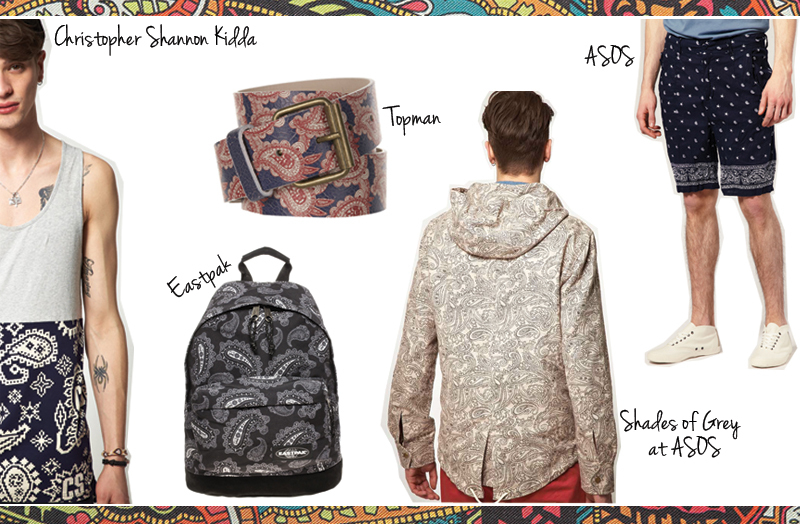 Season after season they re-invent the paisley print in really creative ways. In fact I had a struggle selecting just four looks for this post so I’ve created a separate moodboard on Pinterest to show my love for their amazing pieces. The key to working paisley into your wardrobe is layering. Combine paisley with knitwear, cable knits work really well. Don’t be afraid to combine paisley with patterns; surprisingly, more organised patterns like polka dots and stripes are a great contrast with paisley. To be safe, strong block colours complement paisley well. Also, you don’t have to go all out, paisley ties, pocket squares and scarves can be a more effective way of accessorising your outfits.